GolfBC announces a major WEBSITE RE-LAUNCH! If you're familiar with the GolfBC website, you'll know that our golf course websites have been part of the overall GolfBC site. This made for easy navigation between properties, but posed some challenges with transitioning to a more mobile friendly world, and addressing individual course content needs. Our NEW web presence offers individual dedicated websites for each of our golf courses. There is still a golfbc.com site which offers navigation options to all the courses, as well as company-wide information such as gift card store, rewards program, GBC Golf Academy and much more. What's new with the dedicated golf course websites? As with any change, there may be some growing pains with this transition. We spent many hours testing and proofing prior to the re-launch, but it's likely that we'll come across something that's not working quite right. Our team is working diligently at ensuring that any issues are addressed quickly, and we welcome your feedback at info@golfbc.com. We would like to thank our valued Guests, Members and Staff for your support and understanding during this exciting transition! Read on for some tips on navigating around the new sites and check the sites often as we are constantly updating! Do you have a question we didn't address? 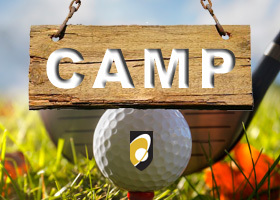 Email us at info@golfbc.com or fill out our online form. Q: Why do some links direct me to the golfbc.com website? A: Some of our programs and offerings are company-wide, rather than course specific. Information on the Rewards Program, our Blog, Employment page - for instance - are available on the golfbc.com website. Q: Can I still toggle between courses? A: Yes! Scroll to the bottom to find links to all other GolfBC courses in the page's footer. Q: Do I have new login information for the golf course website? A: Your golfbc.com login information has not changed, and will work for all the new golf course websites (except Wailea Golf). But, you will be required to log in when you visit one of the new websites. Don't forget to check the "remember me" box, and you'll stay logged in. Q: Will my previously saved bookmarks still work? A: Your old bookmarks should redirect you to the new page or website. However, just to be certain, update your bookmarks with your favourite pages new URL. Q: Can I book more than one round at a time, like before? A: Yes, the book-a-tee-time functionality has not changed. This is a third-party module that books conveniently directly into the tee sheets, and offers a shopping cart functionality once you log in (separate login from the GolfBC website) and create a profile. You can add multiple bookings to your shopping cart, as well as manage/cancel bookings from your profile. Q: I'm trying to login to Game Tracker but cannot remember my log in details, what do I do? A: If you are unsure of your login details, please email us at info@golfbc.com; we can help recover your log in username and/or password. Q: I've posted more than 5 scores on Game Tracker but my handicap is still 0? A: Chances are, you've accidentally posted your score in the "adjustment" rather than the "total round score". If you have any historical rounds showing as -(score), this is the case! Simply click on that round and move your score to the correct box.